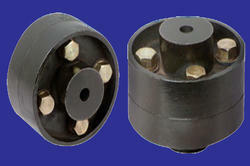 We are manufacturer of Brake Drum Pin Bush Couplings. Pin Bush Coupling, for Industrial, Dimension/size: 4" To 14"
इंडस्ट्रियल के लिए पिन बुश कपलिंग, आयाम / साइज़: 4 "To 14"
We have reached the pinnacle of success and earned a reputed name by providing the high-quality range of Pin Bush Coupling. 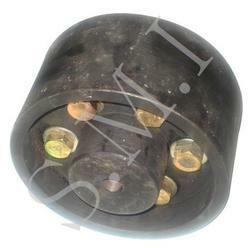 We are offering wide range of flexible pin bush Flexible Pin Bush Coupling to our customers. This product is manufactured under the tight surveillance of qualified professionals using top quality material and the latest techniques in tune with set market norms.